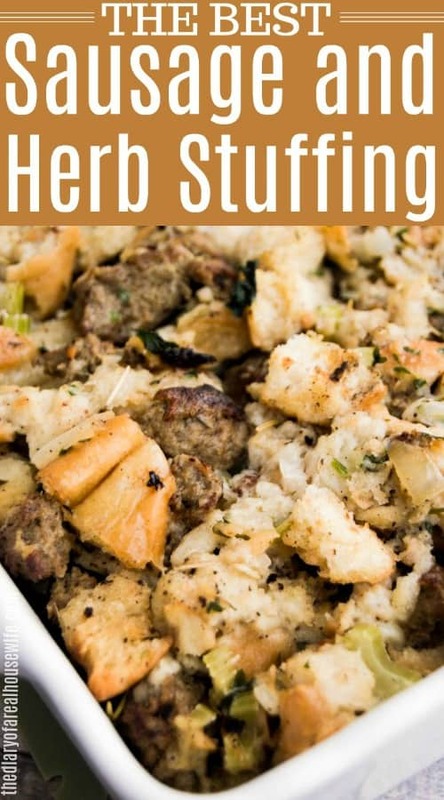 With the bold flavor of sausage and herbs this buttery Sausage & Herb Stuffing is on the top of my menu this holiday season. 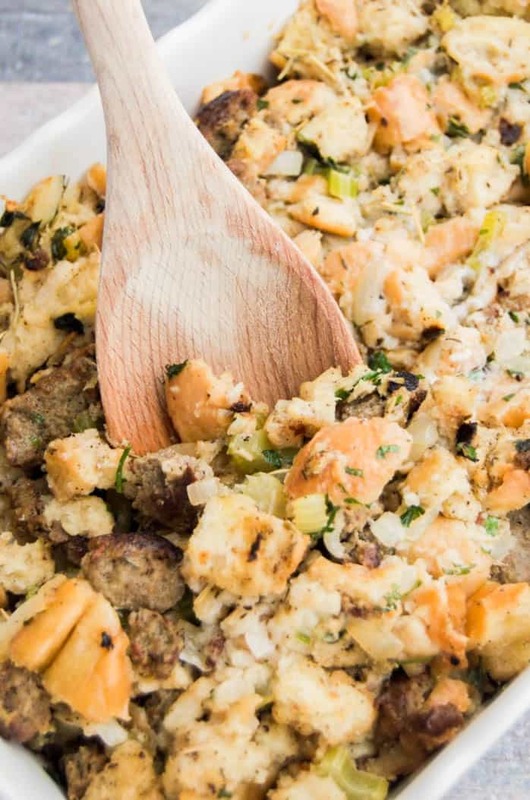 Stuffing verse dressing. Yes I know the traditions names but I can’t help but call all dressings stuffing even if I’m not stuffing the bird with it. It’s how I grew up and can’t help but think of ranch when calling it dressing, I can’t be the only one! 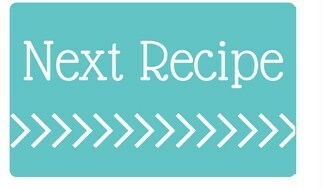 No matter what you are calling it this recipe has to be on your table this season. 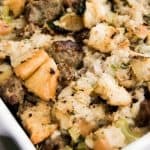 I love my classic tradition stuffing recipe but the sausage takes it to a whole new level and I am loving it. If you need more side dish recipes that are perfect for Thanksgiving check out a few more of my favorites. Places bread pieces on a baking sheet and cook until dried out. Once it’s dried place bread pieces in a large mixing bowl. Increase heat to 350 degrees F.
Prepare a casserole dish with non stick cooking spray then set aside. Cook and crumble ground sausage then remove from skillet and set aside. Melt butter in a large skillet on medium high heat. Add onions and celery and cook until softened. Pour everything into the mixing bowl with bread. Add in cooked and crumbles ground sausage. Next up add all seasonings chicken broth to bread and mix together. In a separate bowl whisk together eggs and remaining broth. Mix this together with bread mixture and add to casserole dish. Sausage Cream Cheese Dip: This dip recipe is one of my favorites. It’s so simple to make with just three ingredients! Sausage and Spinach Stuffed Shells: These shells are loaded with flavor and baked in marinara sauce. Creamy Sausage Tortellini Soup: I love this soup recipe, it’s creamy and delicious. Preheat your oven to 250 degrees F. Places bread pieces on a baking sheet and cook for 45 minutes until dried out. Make sure to not skip this set. It’s very important to start with dry bread. 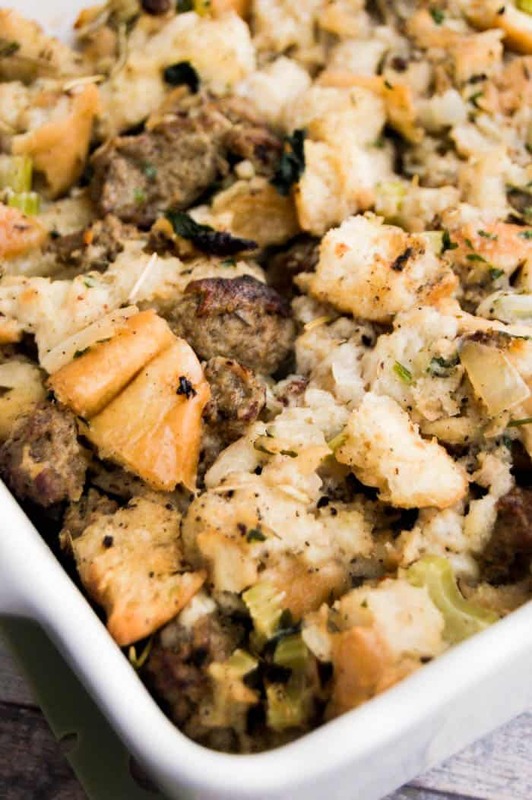 If you skip over this then your stuffing will end up like mush <– not good! Once it’s dried place bread pieces in a large mixing bowl. Next increase heat to 350 degrees F. Prepare a casserole dish with non stick cooking spray then set aside. Melt 3/4 cups butter (1 1/2 stick) in a large skillet on medium high heat. Add onions and celery and cook until softened. This should take about 8-10 minutes. Pour everything into the mixing bowl with bread. Add in cooked and crumbles ground sausage. Give it a good mix, I usually use tongs to make sure everything is getting tossed together but I don’t squash the bread. Next up add all seasonings and 1/2 of chicken broth to bread and mix together. In a separate bowl whisk together eggs and remaining broth. I always do this when I am adding my eggs to something that is already warm. If you add straight eggs to your bread they cook start to cook and you will end up with small pieces of scrambled eggs in your stuff. Mix this together with bread mixture and add to casserole dish. Top with reaming butter cut into small pieces and place evenly around stuff this will help everything to stay moist but also give the top of your stuffing a great color on top. Bake for 40-45 minutes covered and 40-45 minutes uncovered.